Budapest’s city centre offers unlimited photo opportunities, you just have to know how to take them. With a professional photographer guide, you will be able to get the best out of your experience and your camera as well. Enjoy a small group experience with up to 4 people to make sure your guide will have all the time for you as possible. Whether you have an advanced knowledge of photography or just curious how to take the best shot of a beautiful monument or a historic cobblestone street, you are guaranteed to leave with a new set of photo skills and an unforgettable experience. Your photographer will share exciting and interesting photography tips and tricks of composition, framing, settings and some truly fascinating techniques on each site. 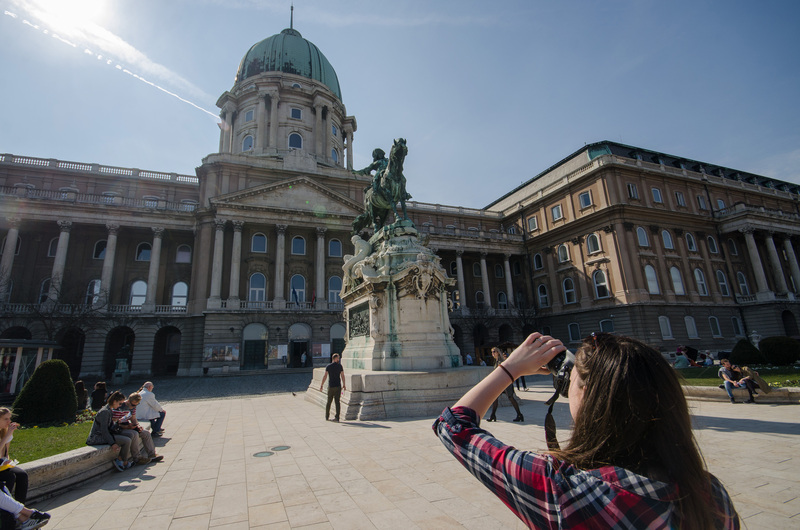 This 4 hour tour will take you to some of the most distinctive sights of the “pearl of the Danube” such as the Royal Palace and Heroes Square. What’s more, your professional photo-guide will take a portrait picture of you on each location to show off with after the tour. To top it all up, at the end of the tour you will receive your best shots in a neat photo album in printed form as a gift from our company. The tour start whenever you want between 8am and 6pm.